The number of South Sudanese refugees sheltering in Uganda has reached 1 million, the United Nations said Thursday, a grim milestone for what has become the world's fastest-growing refugee crisis. Ugandan officials say they are overwhelmed by the flow of people fleeing South Sudan's civil war and the U.N. refugee agency urges the international community to donate more for humanitarian assistance. An average of 1,800 South Sudanese citizens have been arriving daily in Uganda over the past 12 months, the UNHCR said in a statement. Another 1 million or more South Sudanese are sheltering in Sudan, Ethiopia, Kenya, Congo and Central African Republic. The number of people fleeing jumped after deadly fighting again erupted in South Sudan's capital, Juba, in July 2016. "Recent arrivals continue to speak of barbaric violence, with armed groups reportedly burning down houses with civilians inside, people being killed in front of family members, sexual assaults of women and girls and kidnapping of boys for forced conscription," the statement said. "With refugees still arriving in their thousands, the amount of aid we are able to deliver is increasingly falling short." A fundraising summit hosted by Uganda in June raised only a fraction of the $2 billion that Ugandan officials have said is needed to sufficiently look after the refugees and the communities hosting them. "This unhappy 1-million milestone must serve as a wake-up call to the international community that much more is needed from them," Sarah Jackson, an Amnesty International official in the region, said in a statement Thursday. "With no resolution to the conflict in South Sudan in sight, refugees will continue to flee to Uganda and the humanitarian crisis will only escalate." Most of the refugees are women and children fleeing violence, often along ethnic lines, since the world's newest country erupted into violence in December 2013. Ugandan refugee officials have repeatedly warned the influx is straining the country's ability to be generous to the refugees, who often are given small plots of land for building temporary shelters and planting crops when they arrive. 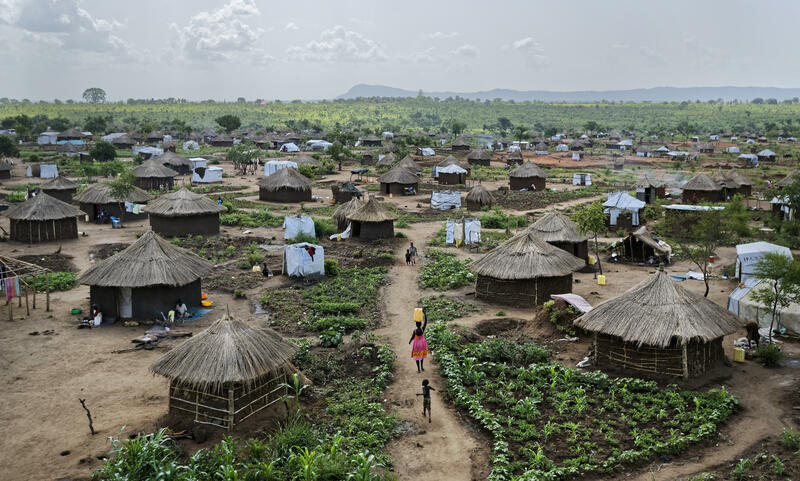 The largest of the settlements hosting refugees from South Sudan, Bidi Bidi, is roughly 88.8 sq. miles.